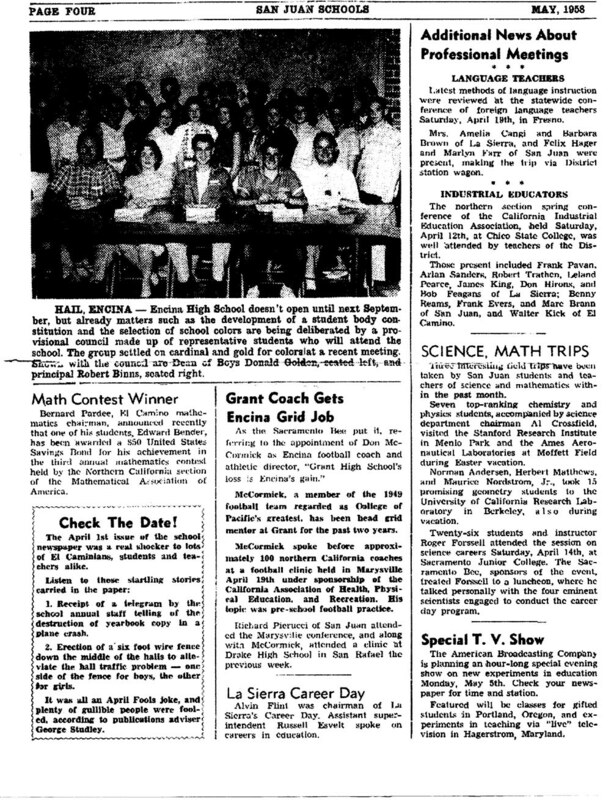 Encina High School opened for business in 1959. 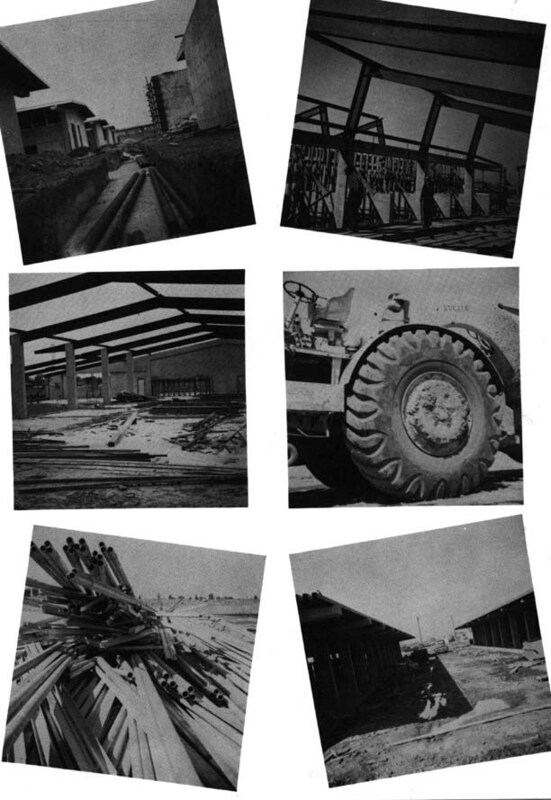 Here are some pictures of the construction from the first Encina yearbook. Picture shows provisional council composed of students who will be attending Encina. They selected the school colors of cardinal and gold. Article is about selection of Don McCormick to be Encina's footbal coach and athletic director. According to Mike Pittsley '71, the Encina fight song is actually "Washington & Lee Swing" with new lyrics adapted to Encina High School. 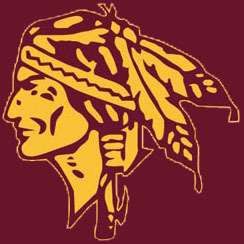 The original Encina mascot was the Apaches. 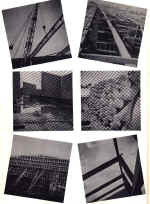 Bob McDonald 61 wrote: "After reading the history of Encina, I thought I would add a coupe of tidbits. Being in the first graduating class of '61, we started at Encina on Sept. 2, 1958 with freshmen and sophomores only. The first week of school during PE, we had meetings concerning the school colors and the naming of the mascot. Apaches won but The Panthers was also in the running. The PE teachers gave everyone a blank piece of paper with a football jersey and we had to detail any stripes and put in the colors we wanted from what I remember. Most of the sophomores had gone to La Sierra H.S. for our freshman year. We got told about the school colors that had been selected and it was the same colors as USC. We named the "Apaches" in 1958 at Encina. The school song and alma mater were written during the first week of school and yes, it was the Washington & Lee fight song with the words being changed to fit Encina. 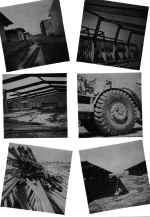 There is no history except for some construction photos (12) in the very first annual which was the Apache Trails with 110 pages.. Our senior class changed the 1961 anuual to the Encinian with 242 pages. The class of '61 had a senior lawn which was located between the admin bldg and the cafeteria along side the western side looking towards Bell St. And if memory serves me well, we had a graduating class of 310 and the ceremonies were at the Civic Auditorium June 10, 1961." Greg Vitaich '62 wrote "Holy headress Batman ,I can remember voting in the election to choose the original "Apaches mascot". Think that was about late Sept or early Oct. 1958. Can't remember what the other choices were but maybe, just maybe there's a mention in the 1958 yearbook." Hayley Fojut '90 says "We were the last of the Apaches in '90, and the decision on the mascot was given to all the classes that year. There were 4-6 choices given. The only other one I remember was Wolverines. Which was the one I wanted, but the school overall decided on Bulldogs 'cause there was the off chance that this one teacher would bring his dog to the games, hence we would have a real mascot. Anyway, that's the way I remember it happening. Our class was known as 'The last of the Apaches' ". 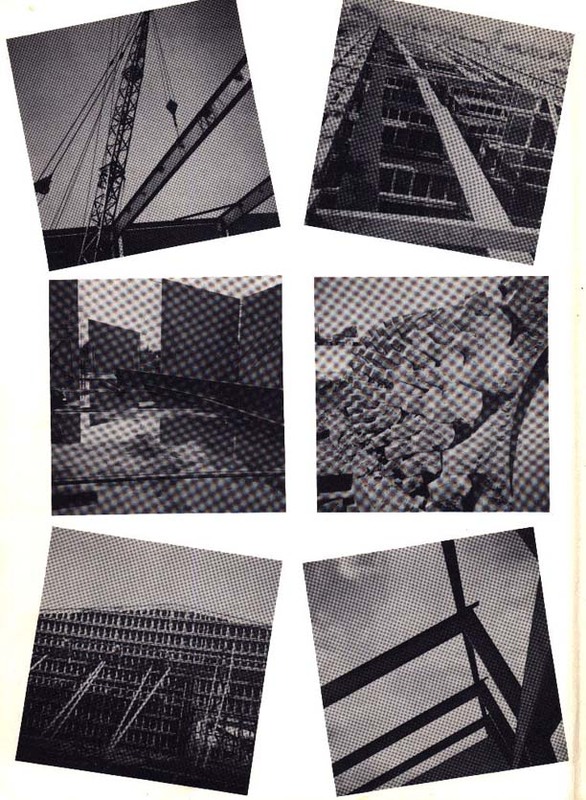 See the 1990 yearbook page for further details. Scott Bennett '91 says that the students voted to change the mascot to the Bulldogs in 1991. Not everyone was pleased with this decision. See the 1992 yearbook for a picture of the Bulldog mascot. Diane Schoenborn '73 says "I vaguely remember that the initial push to change the mascot came from the students, but that the district then ordered the school to change. I remember Miss Esparcia being quoted about how it was a shame that the school had to remove the tile Apache mural in the entry hall of the gym." I was briefly glancing through the history section of the web site, and I decided to throw in my two cents about the change in the name from the Apaches to the Bulldogs. The vote definitely occurred in 1990, not 1991 as Scott Bennett suggested. 1990 was my senior year and I was in student council. It was a hotly contested issue. One the district demanded and the students did not want. There were quite a few protests, but to no avail. I remember being in student council, we were told to voice all the positives of changing the name. Of course, the reason was because some found the old name offensive. Same reason your alma mater changed their name from the Indians to the Cardinal some years prior. Sometime in the school year, all the students nominated their top choices for a new mascot. Of those, the top 5 or 6 were put to a vote. I remember Trojans and Mustangs and Hayley mentioned Wolverines, and of course the Bulldogs. I don't remember any others. Members of the student council were to make a pitch for each name when it was time for the vote. I was the one who made a pitch for the Mustangs. I recall that Bulldogs won by a fairly large margin, with Trojans coming in second. Mark Melnicoe 70, national/foreign news editor for the Sacramento Bee, was good enough to look up and send me this article about the Encina mascot controversy. Encina High School has something in common with Stanford and the Atlanta Braves. At one time or another, all have been targeted for their Indian-related nicknames. Like Stanford, which switched from the Indians to the Cardinal in 1972, Encina dropped its Apaches nickname two years ago after a complaint to the San Juan School district. And during the World Series, demonstrators protested that the Braves' "tomahawk chop" and war chants were racist and derogatory. But Sacramento-area schools besides Encina have remained untouched by the controversy so far -- which surprises Encina Booster Club president Mick Chamberlain. "The thing we didn't understand was when our name was changed, we were looking around at other schools who were Indians and Warriors," Chamberlain said. "But they told us at the time that references to Indians were being eliminated from all schools." There are still the Warriors at Hiram Johnson and at Galt, but you have to go outside the immediate area to find other examples. Marysville is the Indians, and in the SupCal Athletic League, where Encina plays, there are the Justin-Siena Braves and the John Swett Indians. But Swett did change its logo two years ago after a complaint over "Charlie" -- a "crazy-looking guy with three feathers and a hatchet on the warpath," according to football coach Ron Spini. "Now there's no problem," Spini said. "It wasn't that big a deal." The Monticello Empire League has the Vallejo Apaches and the Napa and Armijo Indians, but none has gotten any backlash after the well-publicized Braves protests. "Our community is kind of stuck up here out of the way," Napa football coach Bob Herlocker said. "But the fans have picked up on the Braves thing -- they were out here Friday night doing the chop and war chants. And four of our kids were in the newspaper here in Indian costumes and war paint." Napa has a long tradition -- the school was founded in the 1890s, and the Indian nickname is treasured by the community, Herlocker said. "We're real proud of our heritage", he said. "It's nothing derogatory. There are a lot of Indians from this area." Johnson would like to get back even more to the Indian roots of its name, according to athletic director and football coach Don Dillon. "Here at Hiram Johnson, where there's such a diverse ethnic student body, it's kind of neat to see each group display aspects of their culture," Dillon said. "I like to see this as paying homage to the Indian culture. Some say that the headdress is sacred, but it's seen here as a source of pride and a rallying point." The Johnson mascot is "Willy Wampum", and there is a stately portrait of an Indian chief painted on the gym floor. "One of the reason people choose nicknames like Braves and Warriors is because it represents a proud people with a proud sense of being," Dillon said. "It's fine if it's done with a sense of dignity." 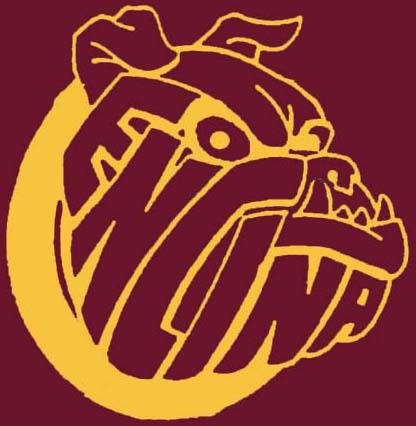 The student body at Encina voted on "Bulldogs" to replace "Apaches", but many people are still unhappy about losing the original nickname, according to Chamberlain. "There was a real feeling of dismay when it happened", he said. "It was an arbitrary decision made by forces unknown over a purported complaint to the board. It happened really before we knew what was going on. "We couldn't fathom why they picked on Encina, because there was no negativisim associated with the mascot or the logo. We'll live with it, but it won't be easy." "Encina was ALMOST closed down because of the low enrollment! I think what happened was that the first development in the area (I was raised in the same house for my entire life and the house was 8 houses down from the basketball courts!) were some of the first suburbs northeast of the American River. Little Greer Elementary School (which I went to) was built before Encina and I remember walking through the field (the future Encina site) to go there. (I also remember taking my skateboard and my Sting Ray bike up and down the halls on the weekends. Put some great skid marks doing "brodies"!) From then on, many more subdivisions were built and that helped to push Encina's student population up to the 1600 - 1800 range. I remember hearing (and maybe it was just a rumor...) that at the time they were thinking about closing it down (population was down to 500, I think), they experimented with having half of the school as a program for gifted kids and the other half for special education. Then they changed it to it present status. But this was just passed on to me and I'm not even sure if that is how it really happened." "At our (25th) reunion, Mr. Carey told the story of how Encina lost enrollment & went downhill. 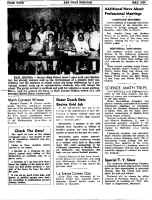 Sometime in the early 80's, to "save" El Camino, it was turned into a fundamental high school with high achiever classes. Mr. Carey said that the first year of that program, about 10 Encina students left. The second year, 100 students, Encina's best & brightest, left Encina & the school was never able to recover. I know that most of Amanda's friends from the high-achiever middle school were evenly divided between El Camino (for the fundamental aspect & for the great music program) & Mira Loma for the International Baccalaureate program. Sometime after Encina lost population, it was saved by becoming a Tech School for kids not going to college. In the early 90's, there was a rumor that Encina was going to close, but it was saved again by becoming an Academy School-within-a-school concept; kids are in Business Academy, Health, Art, etc."